Einzelstück1994-14-698 - The covered bridge at West Montrose, Ontario. 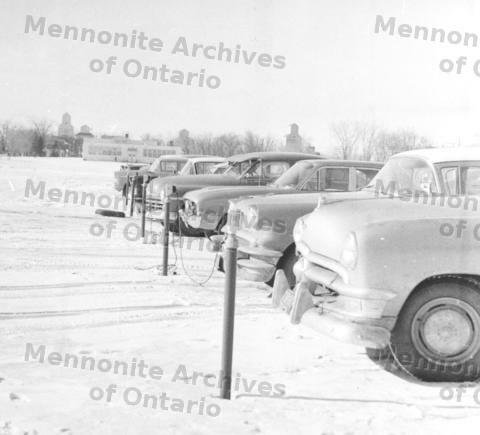 The hitching post has not been entirely displace on the prairies; now it serves to keep the motors of cars warm when temperatures dip below zero. Used in CM 9-3-3.